(NaturalNews) The camels are coming! Actually, they're already here. In fact, the current camel population in the U.S. is approximately 5,000 and predicted to increase. Why is that, you wonder? Scientists are touting camel's milk as an amazing superfood, so American entrepreneurs and farmers are gearing up to meet the anticipated demand. Although still considered an exotic beverage by the majority of Americans, camel's milk has been a staple in most Arab countries for centuries. Be warned though, camel's milk has a distinct taste that's slightly saltier and more watery than other, more familiar milk varieties. Not surprisingly, the Amish are ahead of the camel curve and have spearheaded several camel dairy farms. They are major proponents of the healthy healing powers of camel's milk, especially its ability to help improve symptoms in children afflicted with autism and attention deficit disorder. * The levels of potassium, magnesium, iron, copper, manganese, sodium and zinc are higher in camel's milk than in cow's milk. * Camel's milk is three times higher in vitamin C than cow's milk and 10 times higher in iron. * Camel's milk is also higher in unsaturated fatty acids and B vitamins, but lower in vitamin A and B2 than cow's milk. * Camel's milk contains more fat and protein than cow's milk. Cancer: Interestingly, researchers have discovered that a substance in camel's milk called lactoferrin could prove beneficial for those suffering from colon cancer, a disease that afflicts more than 102,000 people annually in the United States. Current research indicates that lactoferrin stops colon cancer cells from reproducing and, because it binds with iron, has the potential to halt DNA damage concomitant with cancer. Research led by Hosam M. Habib of the College of Food and Agriculture at the United Arab Emirates University and reported in Food Chemistry showed a 56% decline in cancer cells within 48 hours after the introduction of camel's milk's lactoferrin to HCT-116 colon cancer cells. CamelMilkUSA.com reports that the lactoferrin in camel's milk has antibacterial, antiviral and antitumor properties. Citing a 2012 article from the Journal of Biomedicine and Biotechnology, WorldTruth.tv reported that camel's milk "triggered a process that inhibited proliferation and survival of both human liver and breast cancer cell lines." Diabetes: Traditionally, camel's milk has been successfully used to treat diabetes. It has been used in India to treat a wide spectrum of diseases, including type 2 diabetes. Studies from India indicate that camel's milk contains "high levels of insulin or an insulin-like protein which appears to be able to pass through the stomach without being destroyed," Medical News Today reports. It's also been discovered that there are 52 units of insulin per liter of camel's milk. Developing oral insulin has been hindered by the fact that the stomach's normal acidity level destroys insulin. In addition, BMC Immunology published a study that examined the effect of camel whey protein on diabetic mice. Their findings indicate that camel whey improves the "healing and closure of diabetic wounds" as well as restores immune function. Alzheimer's: Dr. Millie Hinkle, ND, of Camel Milk USA, recently completed a six-month study with a small group of nine early-stage Alzheimer's patients. The study was promising and all the participants showed marked improvements in key areas. Lyme disease: For the past three years, Dr. Hinkle has been working with Lyme disease patients and a specially designed camel milk protocol, which has had amazing results. She's also studying the mechanisms behind camel's milk's ability to weaken spirochetes, the type of bacteria that causes Lyme disease. 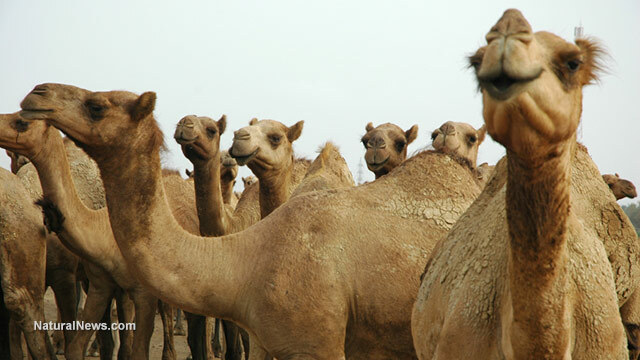 Camel's milk has proven antiviral, antifungal and antibacterial properties. By fortifying and enhancing good gut bacteria, camel's milk supports and modulates the immune system. Hepatitis: Dr. Hinkle is also conducting camel's milk treatments with hepatitis patients and, so far, the results have been very positive. "The antiviral properties in the milk seem to dissipate the inflammation of the liver and the milk also provides many of the nutrients needed for healthy liver function," stated Dr. Hinkle. She is seeking funding for larger, long-term studies and expects the results to be positive.